LAS VEGAS (November 28, 2018) – MGM Resorts International is proud to continue its partnership with Art Basel in Miami Beach for its 2018 edition (December 6 – 9) through its multifaceted arts program, MGM Resorts Art & Culture. As global Associate Partner of Art Basel, MGM Resorts Art & Culture hosts the MGM Resorts Lounge within the Collectors Lounge, in addition to presenting events and artist projects on-site and throughout Miami Beach. These events and projects highlight MGM Resorts’ commitment to integrating art in public spaces throughout their worldwide destinations and at major cultural events like Art Basel. MGM Resorts Art & Culture’s offerings in Miami Beach this December align with its vision to create and support special, accessible experiences for all to enjoy, recognizing the power of art to evoke emotion, engage the senses and spark conversation. MGM Resorts Art & Culture is proudly supporting the immersive performative installation Autorreconstrucción: To Insist, to Insist, to Insist… (2018) by Mexican artist Abraham Cruzvillegas, which will be free and open to the public daily from at 3 p.m. and 5 p.m. from December 6 – 9 during the run of the show. Presented as a collaboration between Art Basel, curator Philipp Kaiser and, The Kitchen, one of New York City’s most historic non-profit spaces, Cruzvillegas’ unique work is a combination of sculpture, music and performance with found objects and refuse sourced from the immediate vicinity of the MBCC – all of which is continually destroyed and reconstructed in a series of 20-minute performances. Within the Collectors Lounge of Art Basel in Miami Beach, the MGM Resorts Lounge will highlight its commitment to working with a diverse group of artists, presenting works by Kisho Mwkaiyama, the current visiting artist of the Artist Studio at Bellagio in Las Vegas. On view will be Vegalet 30, a series of 11 paintings Mwkaiyama made during his stay. As part of his time in Las Vegas, Mwkaiyama is creating a larger series of 24 paintings for the MGM Resorts Fine Art Collection titled Vendarta 100: Six Elements and the Seasons, which convey an intense sense of natural light, space and radiance. His work will be completed in January 2019 and on display at Mandalay Bay Resort in Las Vegas. The MGM Resorts Lounge also will screen two new films from the short-form documentary series that debuted at Art Basel in Basel 2018. One of the films highlights Japanese artworks within the collection as well as Japanese art and culture initiatives throughout MGM Resorts destinations including the group exhibition Primal Water at Bellagio Gallery of Fine Art and Kisho Mwkaiyama at the Artist Studio. 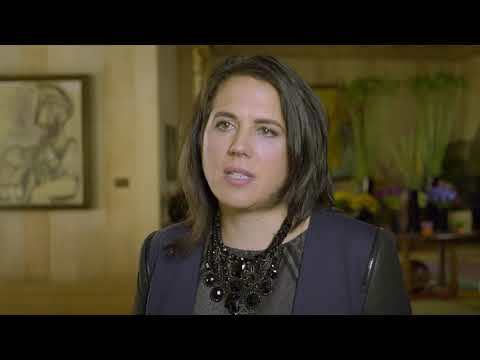 The second documentary film focuses on the new art collection at MGM Springfield in Massachusetts, which highlights artworks by artists such as Jeppe Hein, Mia Pearlman, Ed Ruscha, Donald Judd and Alexis Smith. Previous films in this series have featured Swiss artist Ugo Rondinone’s Seven Magic Mountains just outside Las Vegas, Brazilian artist Henrique Oliveira’s site-specific sculpture commissioned for the lobby at Park MGM in Las Vegas, and American artist Mia Pearlman’s The Flying Tidings Whirled at MGM Springfield. The MGM Resorts Lounge offers the opportunity to view these films and artworks and learn more about MGM Resorts, its public art initiatives and collection that includes pieces by Nick Cave, Isa Genzken, David Hockney, Jenny Holzer, Claes Oldenburg, Pablo Picasso, Robert Rauschenberg, Nancy Rubins, Frank Stella, James Turrell, Andy Warhol and more. On Thursday, December 6, MGM Resorts Art & Culture will celebrate the launch of the fair with a party at High Tide at the Kimpton Surfcomber Miami. On view will be six of Detroit-based artist Chris Schanck’s whimsical colorful sculptures, Follies & Flora, curated by Artsy. Installed throughout the sandy beachfront lounge, Schanck’s sculptures are made of plywood, foam and fibers in the shape of mythical creatures that have washed ashore in search of festivity. This one-night-only event will transport an array of MGM Resorts’ culinary and beverage delights from Las Vegas’ most popular bars and restaurants. View and learn more about recent initiatives of MGM Resorts Art & Culture, including a tour of the company’s contemporary art collection and a feature of Swiss artist Ugo Rondinone and his public artwork Seven Magic Mountains, co-produced by Nevada Museum of Art and Art Production Fund, and supported by MGM Resorts International and ARIA Resort & Casino. To learn more about MGM Resorts Art & Culture, visit mgmresorts.com/artandculture. Join the conversation on social media by using the hashtags #MGMArtCulture and following @MGMArtCulture. MGM Resorts’ partnership with Art Basel began in December 2016 when MGM Resorts became the Public sector’s Partner in Art Basel in Miami Beach. The relationship grew with MGM Resorts’ support of Kingsley Ng’s Twenty-Five Minutes Older Tram project during the Hong Kong show in March 2017, and expanded into an Associate Partnership at Art Basel in Basel in June 2017, where MGM Resorts Art & Culture supported Than Hussein Clark’s Parcours performance Yes, Yes, All the News that’s Fit to Print. At Art Basel in Miami Beach in 2017, MGM Resorts Art & Culture continued this role and was the lead partner of the show’s Public sector for the second year. At Art Basel in Hong Kong in 2018, MGM Resorts initiated its inaugural support of the Encounters Sector at Art Basel in Hong Kong. And this past June, MGM Resorts supported the entire Parcours sector at Art Basel in Basel. Founded in 1970 by gallerists from Basel, Art Basel today stages the world’s premier art shows for Modern and contemporary art, sited in Basel, Miami Beach and Hong Kong. Defined by its host city and region, each show is unique, which is reflected in its participating galleries, artworks presented, and the content of parallel programming produced in collaboration with local institutions for each edition. Art Basel’s engagement has expanded beyond art fairs through a number of new initiatives such as Art Basel Cities, working with partner cities on bespoke cultural programs. For further information, please visit artbasel.com.